The powerful Lead Generation Guide. An effective way to increase your sales. Every business no matter the size needs sales and one of the most difficult and costly parts is not having a powerful sales lead generation system for new customers/clients. In today’s age of the online and offline unless you are nurturing your future prospects and filling your pipeline with future customers/clients. You’re chances of being in the group I call the Thrivers are very low, you will end up in the group called the Survivors instead. Don’t get left out, now is your opportunity to discover a powerful sales lead generation system that I have used for decades to get qualified leads for myself and my clients. In this lead generation guide, I will show you what you need to do to increase your sales leads and grow your sales. First, identify your ideal prospects for your product, service or expertise, I know this can be like trying to find a needle in a haystack for most people. But that’s not a bad obstacle to overcome once you use “Lead Magnet” in a systematic way to generate new sales leads. This is one of my favourite high return-low risk methods for generating a lot of good quality sales leads at a low price. The basic principle behind this is to use some powerful information, i.e a report or know how to guide as bait, it is the notion of providing this info as an incentive to get your prime prospects to raise their hands and identify themselves to you to say they are interested in finding out more about your product or service. This will ordinarily be the same info that you provide for free daily whenever prospects visit your website or contact you, call you, or interact with you face to face. It’s information that allows people to see that you have a lot of experience in your in niche and you know exactly what you are talking about. That info may easily be processed into a booklet, audio CD, DVD, special report, bulletin, guide, white paper, e-book … or into several other formats for the lead generation system. In most cases, this information may be considered a common currency in your company, which means that it doesn’t cost you a whole lot to package it in the form of a lead magnet. At the same time, it’s likely to be extremely helpful to your prime prospects, who most likely don’t understand much about your service, product, or expertise. Once they’re in the market for what you offer, then you know they will be trying to find information to make certain that they make the right choice, and to be able to deal with people they can trust, who have the skillset … and will deliver to them the final results they’re trying to buy. And that is what I call a powerful lead generation system using a lead magnet. Once your information is turned into a lead magnet you must do everything you can to promote it properly. When it comes to getting high-quality sales leads this becomes a powerful lead magnet to attract your prospects. Normally, the only people that will raise their hands and ask for your information will be those who are in the market at that moment in time for what you are advertising. In other words, they’re potential customers who are searching for answers right now to a problem or need that you’ll be able to possibly fulfil. They are showing a real interest in what you are promoting and they are prepared to do business with you now or soon when they respond to your packaged information offer. These are the prospects you will need to nurture by providing them with a guide or report to help them make a choice to buy your product or service… and whats more, they’re raising their hands and identifying themselves to you. By using the lead magnet, it definitely doesn’t get any better than that for you to end up with a powerful lead generation system for your business to sustain growth in the long term. 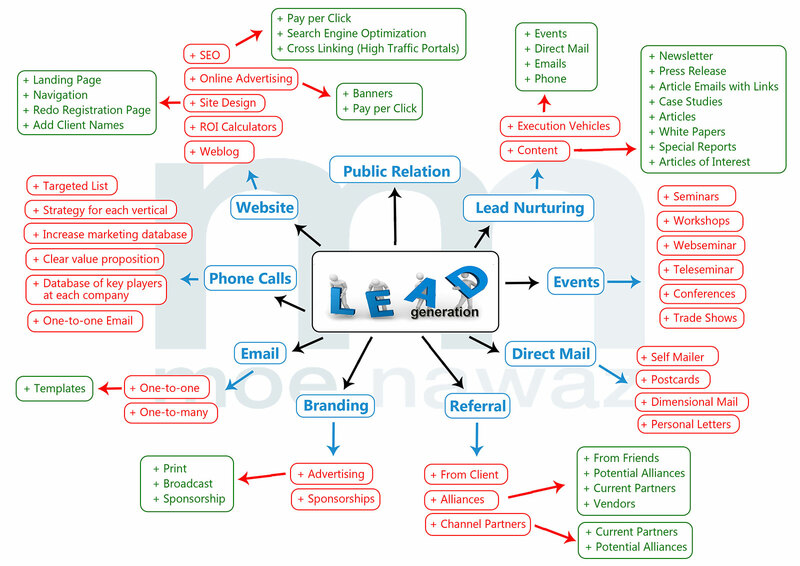 By using the lead magnet as part of your lead generation system, you will always have your pipeline full of prospects. One of my clients who owned a recruitment agency specialising in locating jobs for senior executives over 50. They were short of decent candidates at one time, so instead of advertising every individual employment, we persuaded them to create a lead magnet titled “How to win at interviews for senior executives.” The headline of the ad was “Senior Executives guide to successful interviews” and the body of the ad online described why the guide might be valuable to any senior executive who desired successful interviews. Instead of their average 37-52 responses per ad each month, the new online advertisement produced over 153 enquiries requesting the guides in the very first month it was positioned … and went on to build similar response every month. And every person who ended up responding was a senior executive over who wanted to experience a successful interview. Learn more about lead conversion. Yet another client who has an accountancy firm made use of the lead magnet inside the Small Business Federation monthly magazine. He took half a page advert for the sales lead magnet which offered a “Free guide on how to reduce your tax by 50%”. Who do you think, end up responding to that offer? Right … a business owner that wants to reduce their tax. So as soon as they respond he is aware of who they are and precisely where to focus his attention and future promotion activities. Thanks to that offer, for the very first time in the history of his accountancy practice, people started phoning up for the guide, without him spending time trying to sell on the phone to unqualified prospects. Not only that, his standard size of clients went from an average of £2,700 to over £4,500 in a matter of months. He ended up doing double his business at nearly a fraction of the original cost of marketing. Almost 10 X what he was accomplishing before. As soon as we advertised an offer on Google paid Adwords with a lead magnet, we achieved more than 16 times his usual response. Just in one month 367 responses, every one of them a prime prospect for his services. In fact, my client had to switch off his advertising on Google after three months as he had so many prospects lining up for a consultation to help them reduce their tax. Talk about powerful lead generation systems, until you have tried it you will never understand the true power. Identifying who you really want to target is the very first step you need to take when you create your lead magnet as the bait for your lead generation system. Who has the capacity, want and reason to get your product, service or expertise at this moment? Who already utilizes or knows about your kind of service or product? These will probably be your prime prospects. The following step is identifying what kind of information these prospects are searching for. They need to make an informed decision, so they’re very likely looking for information and hard truthful facts which will allow them to have unbiased answers to their fears, frustrations, concerns, difficulties and uncertainties about ordering your product, service. The information from your lead magnet guide should definitely and satisfy that craving. As such, it should contain, in an easy-to-read style, all the questions and answers a prime prospect would wish to ask before buying your product or service. Also, it needs to contain thought-provoking question they probably haven’t thought about. It must be totally unbiased and contain good answers. It ought to let you know how to prevent potential disappointments or devastation. It should educate your prospects on the important troubles in their decision making procedure, and alert them to things they wouldn’t have known on their own, thus placing you as an expert within your field of operation and a person who is on the customer’s side. So that your prime prospects have the ability to compare offerings that are competitive you must consider adding a checklist of key questions. Don’t lay it out as an ad for your product, service or expertise. People are astute. They can see through a thinly veiled ad a mile off. Whenever you give individuals an unbiased, factual, thought-provoking package of knowledge, they appreciate it. The information needs to be helpful to your prospects that they’ll have a desire to keep it, utilise it and go back to it in the future. When you’re trying to find a product or service isn’t that exactly the type of information you would want for yourself? If anyone offered you information like that, wouldn’t you be much more drawn to them than you would be to their opposition? That’s the main reason why this is such a great technique. And this is the main reason for me sharing this with you today. You should always remember that while what you know might be the daily currency for you, it might be of greater value to your prospects. I really recommend you put a monetary value on this information even if you offer it at no charge. That’ll make the info even more attractive and promote even better response. The advantages of utilising packaged information properly for sales lead generation as ilistrated in this guide are fantastic. It is a great prospecting tool to connect with new prospects. You may put it to use in order to give the response to your email campaigns, ads, and sales letters an improvement. It qualifies and flushes your prime prospects out from the woodwork. It normally generates much better quality leads at half the average price. It immediately generates a database of names and not only any names, but the names of prime and qualified prospects who raise their hands simply because they really want what you offer. As well as teaching and informing your industry, it positions you as an authority within your niche. It also brings about the law of reciprocity, which says that when you give something helpful and worthwhile to people they feel obligated to reciprocate. 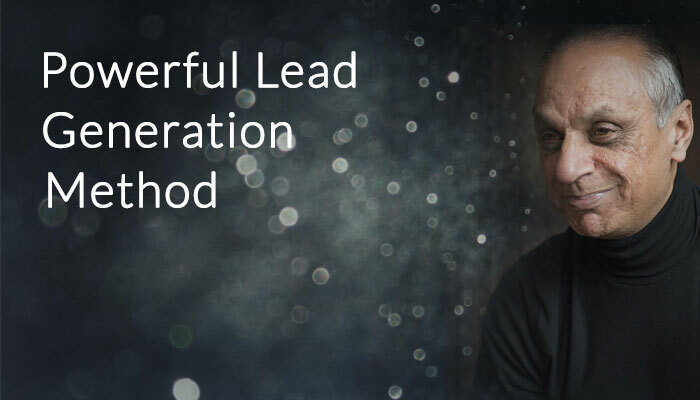 This is exactly the very reason I am sharing this post with you today, so you understand my knowledge and experience in creating lead generating systems for myself and my private clients. It can definitely place your company on the map like never before when done and positioned properly. The media can usually be convinced to share your expertise and knowledge as public service info. Sometimes the newspapers might do free write-ups on your business that would cost you thousands of pounds had you purchased the exact same space as an ad. It may even lead to you becoming a spokesperson in the industry, invited by the media to comment on problems associated with your industry. Therefore, my lead generation system is one of the most effective promotional tools you will ever utilise to produce quick results to generate sales leads. 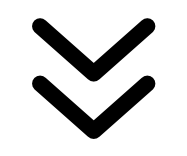 We use it continuously with consumers and clients in every industry you can imagine. When the lead generation guide is used properly and created into a system with processes and daily tasks, it is a very powerful tool for any business to grow sales. If you have found the lead generation guide useful, please feel free to share with others who might benefit from it also. Feel free to complete the form below to find out more about improving your sales and marketing results.